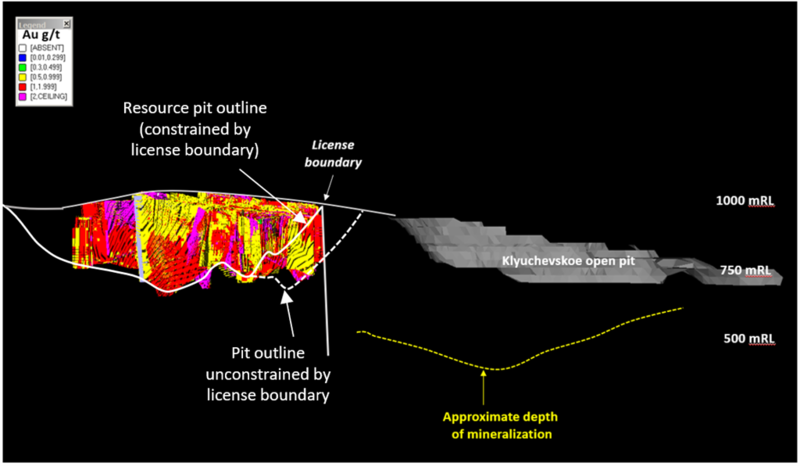 VANCOUVER, BC / ACCESSWIRE / April 17, 2019 / Orsu Metals Corporation (TSX-V: OSU) ("Orsu" or the "Company") announces the results of a maiden Mineral Resource estimate for its Sergeevskoe Gold Project in Zabaikalsky Region, Russia. 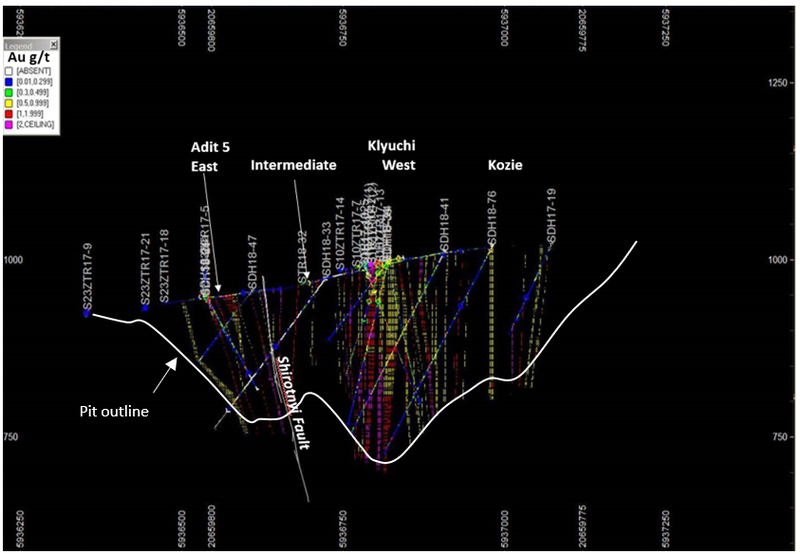 The Mineral Resource estimate was independently prepared by Wardell Armstrong International Ltd. ("WAI") in accordance with the guidelines of the JORC Code (2012)/CIM Definitions Standards and NI 43-101 requirements. A Technical Report covering the Mineral Resource estimate will be filed on SEDAR within 45 days of this news release. Figure 2. 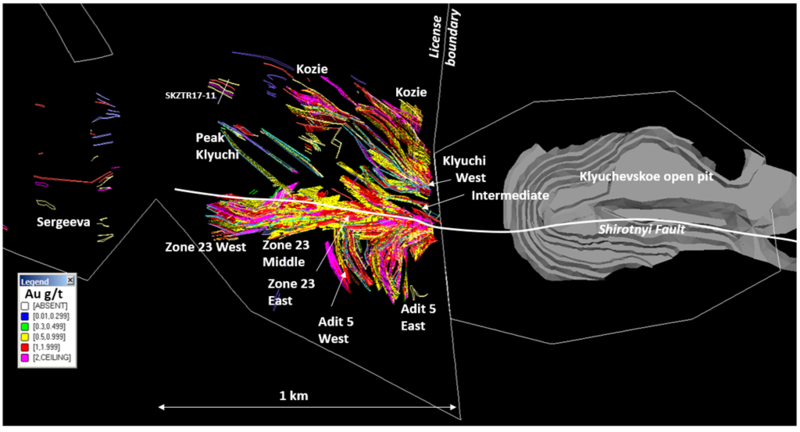 Cross section (looking west) showing grade distribution in gold-mineralized stockwork over a >500 m width along the eastern license boundary of the Sergeevskoe gold project.